Warning: The following post contains information about eating disorders and mental health which may be triggering to survivors. 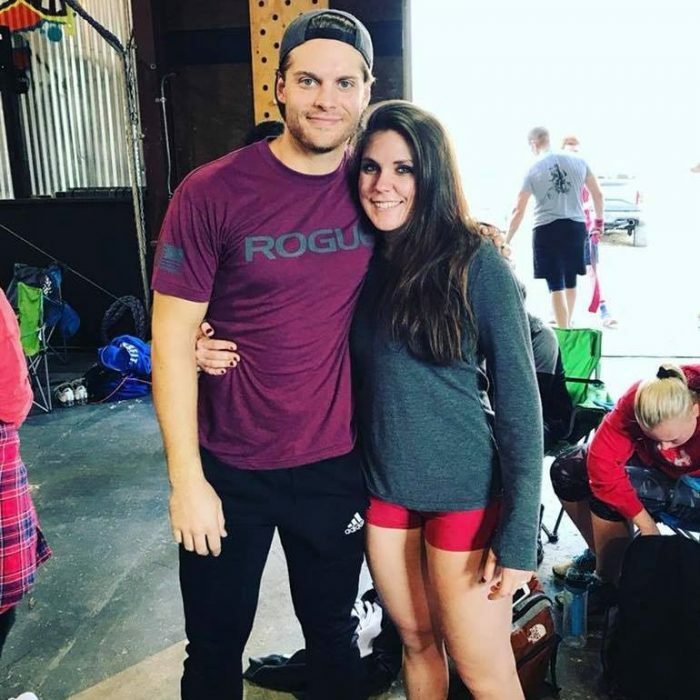 Meag Hengeveld has been a member at Nexus Fitness on the CrossFit side since August 2018. 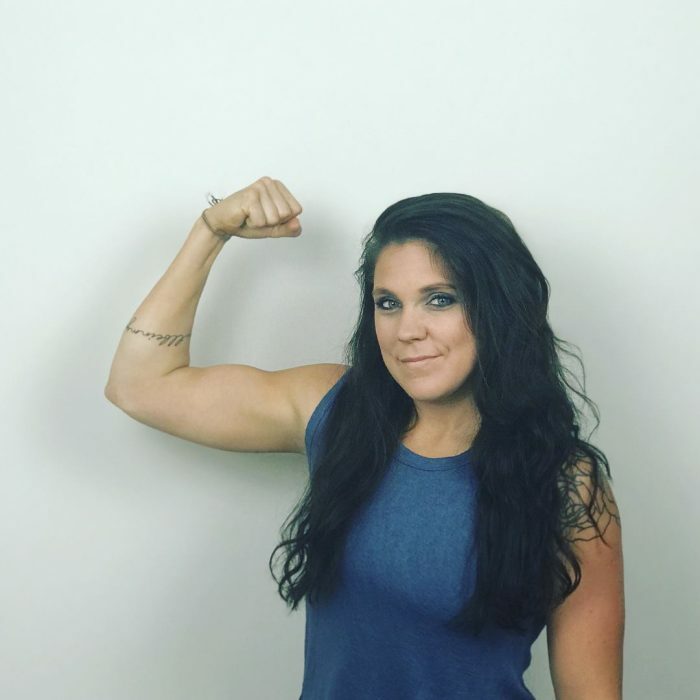 She and her husband, Matt, gave two seminars during our NexUS Health titled “A Calorie is Not a Calorie” & “Nutrition & Performance.” Meag is a chef, but her relationship with food wasn’t always a positive one. Eating disorders, unfortunately, aren’t fully understood by those who have never faced one. We are thankful to Meag for teaching us about the seriousness of eating disorders and walking us through her battle with anorexia. Q: Walk us through your battle with anorexia. What is it like? A: Too often, eating disorders aren’t taken very seriously until it’s too late. From the outside, most people don’t understand. They think “Just eat!” But our minds are SO strong. And eating disorders are very much a mental battle. I knew I was dying. I knew I needed to eat to live. I knew food was good for me. But when your mind is in complete control with something like anorexia, physically making yourself eat is impossible. 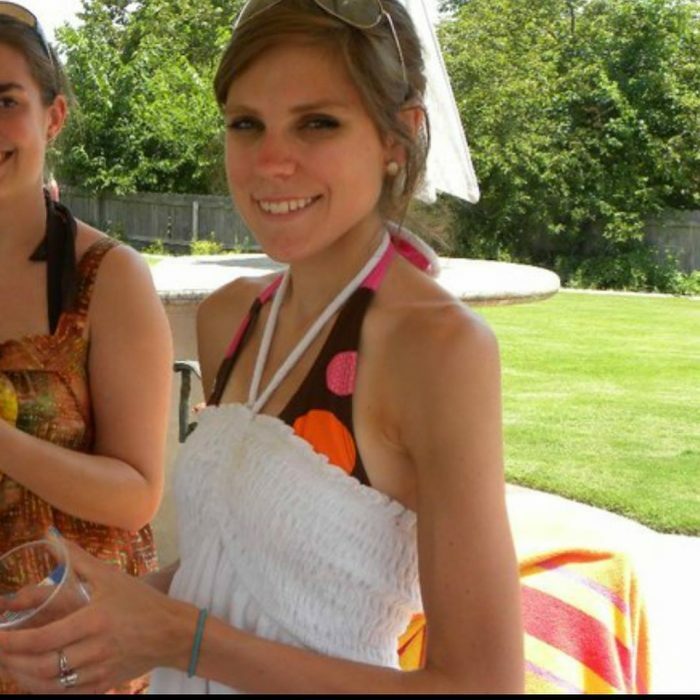 Anorexia was the hardest thing I’ve ever been through because it completely controlled me. My mind would tell me all day long that I looked terrible. I shouldn’t eat that certain meal because it was bad for me. It was too many calories or too much fat, etc. At times I felt like I couldn’t fight against it. There was nothing I could do. And it was constant..never going away. For months, I was in denial. I let my mind have complete control. I told myself I didn’t have a problem. And as long as the eating disorder was in control, I was fine. Once I admitted I had a problem, got help, and started the process of recovery the real battle started. I had to go against everything my mind was telling me to do. I never would have been able to do it alone. I have an amazing family who helped me and supported me through the whole recovery process. It was probably harder for them, because again from the outside, it’s hard to understand. They were watching me kill myself and couldn’t do anything about it. Most days during recovery, I would end up in my room, on my knees sobbing uncontrollably, praying that the Lord would give me strength to fight, because I was so scared to add protein powder to my oatmeal in the mornings for extra calories. Or my family was making hamburgers for a birthday dinner, and I knew I couldn’t get away with eating just squash and zucchini. Sounds crazy, right? I was on a emotional roller coaster everyday controlled by my mind that you can’t just turn off. Q: How was your battle different from others who face the same challenge? A: My battle is a little bit different than others because it didn’t start out from a fear of being overweight. It started in high school, when I got into situations and a bad relationship where I felt like I had no control. At the time, I felt like my food was the only thing left in my control. So it became obsessive. I wasn’t very restrictive with food at first, but over a year, the obsession with controlling every bite I had developed into restriction. I also became obsessed with “exercising.” Of course it wasn’t a healthy type of exercising. I would just spend hours on an elliptical or treadmill. I moved to Atlanta by myself when I was 17, and the restriction and obsession with food worsened. I was in culinary school at the time and that is when I was determined not to get fat. I told myself I was being “healthy” by limiting my calories. In no way did I think I had an eating disorder, because I told myself I ate too much food to have an eating disorder. Most women that struggle with an eating disorder rarely get help and actually struggle with it for years and years. My battle is different in that I didn’t have to struggle for most of my life. I have a healing Savior and a loving family that brought me home and found ways to get me help. Q: What made you realize that “strong is the new skinny”? much weight around and running and doing pull-ups. They all looked so happy after the workout too! I wanted to be a part of that. Q: How did you change your mind that being a physically strong woman was a good thing? A: The confidence I saw in other strong women helped change my mind. The whole time I was “skinny” I still struggled with confidence because I still didn’t look good enough. But all these women I watched were working out in spandex and sports bras no matter what they looked like! They had so much confidence because they were proud of what their bodies could do. I wanted that confidence. A: There wasn’t a moment that I just decided to change. It happened slowly over time. I found that I couldn’t continue eating like I was if I wanted the energy to workout and be strong. My skinny bones could barely lift a barbell, and I wanted to do so much more than that. I had to start fueling my body in order to reach these goals. 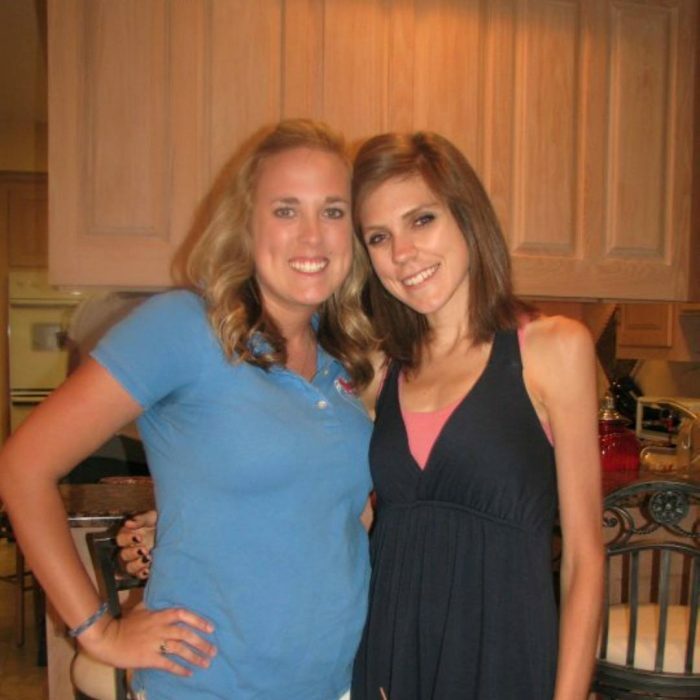 I knew I either had to give up working out or my eating disorder… I couldn’t have both. I still had bad days sometimes, where my mind would try and take back over and tell me that I shouldn’t be eating that meal. But overtime, the friendship I found with women at different CrossFit gyms helped me understand that there is so much more to life than just being “skinny”. A: The hardest part was during recovery before I found CrossFit. I struggled daily trying to convince myself that food would nourish me, not harm me. It felt like every time I took a step forward, I took two steps back. I had to weigh in at a doctors office every week, and I had so much anxiety around that event. I would often end up in my bed for the rest of the day fighting depression or praying for the courage to eat that day. Looking back, the most surprising part is how hard it is to actually gain weight/muscle! I’ve been eating healthy and working out consistently for 7 years now, and I still don’t have all of the muscle that I want! Most women I’ve talked to are scared of “getting bulky” when they lift weights, but it’s VERY hard to do that! It can’t just happen. Q: Why do you think you’ve been so successful? A: The ONLY reason I’ve been successful with recovery is because of Jesus. He led me to an amazing therapist that helped me fight this battle with prayer. My family’s support and the community I found at all of the CrossFit gyms I’ve went to were also a big part of turning my life around. Every single gym I was apart of celebrated women’s strength rather than body image. They constantly re-enforced confidence and the fact that there’s way more to life than the way someone looks. What advice would you give to women who face body-image issues and are trying to get in a steady routine and maintain a healthy lifestyle? A: The best thing a woman can do is to find accountability. I couldn’t have had a full recovery without help. Having women around me to lift me up on hard days definitely kept me going. Find a buddy that will help you get into a good gym routine and that will help you focus on the important things in life like relationships not dress sizes! Q: What are you most proud of after this experience? A: Being on the other side of an eating disorder, I’ve realized just how many women actually struggle with it, even if their bodies aren’t exactly skin and bone and they don’t weigh under 100 pounds. Because of this, I decided to go back to school and get a degree in nutrition so I can help people, especially women, be healthy the right way! I’m very proud of this and am so blessed that I get to counsel so many women. I want them to be able to have the confident, full life that I now have. Q: What does living a healthier lifestyle mean to you? A: Anorexia starves and destroys all the organs in your body. So for a while, there was a time I was worried I would never be able to have children. I even had a miscarriage that seemed to confirm my fears. Having children has always been my main dream in life, and I now have a very healthy baby boy! Living a healthier lifestyle (where I FUEL my body! )not only gave me my dream back but I also get to enjoy the amazing things life has to offer, like an awesome marriage, great friends, a gym community that supports each other, and so much more. Focusing on my body image and starving myself only led to isolation, lying, and no joy in anything. Q: What does being strong mean to you? A: Strength=confidence. I have seen so many strong women, and it has very little to do with how much weight they put on the barbell. The women that are strong are the ones that are confident in their bodies and are super proud of what they can do. Being strong also means lifting other women up. Too often when I struggled with body image, I would judge other women. Not only would I tear myself down, but sometimes other women as well. Now, I just want to help other women be strong so that they can learn to be proud of themselves as well. A: I have to share my story because SO many women struggle with body image. It’s not always noticeable on the outside. You don’t have to be 90 pounds with bones sticking out to be struggling with an eating disorder. It’s important for me to tell others and the people of Nexus so that they know they’re not alone. There’s help out there and there’s a better way to live life. I’m finally free and I want others to experience that freedom as well. 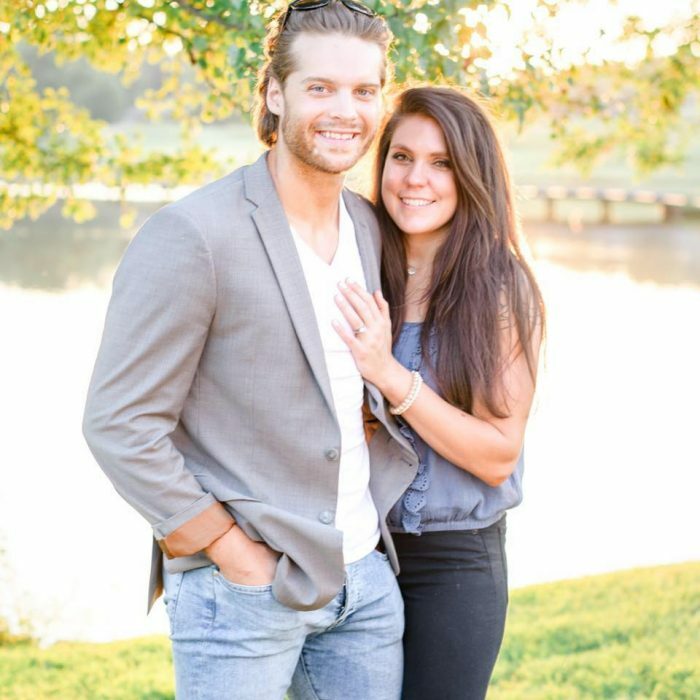 A: My husband and I own a nutrition coaching business, and I look forward to each and every woman that I can help. Eating enough food to nourish the body is a huge mental battle for most to overcome. The confidence they find after they start fueling their bodies is so rewarding. A: I wish I had someone to talk to before my eating disorder got really serious and turned life threatening. I’d love to talk to anyone that feels like they have a similar struggle, so please anyone feel free to reach out! If you or a friend is showing signs of an eating disorder, visit https://www.nationaleatingdisorders.org/treatment for more information and resources.